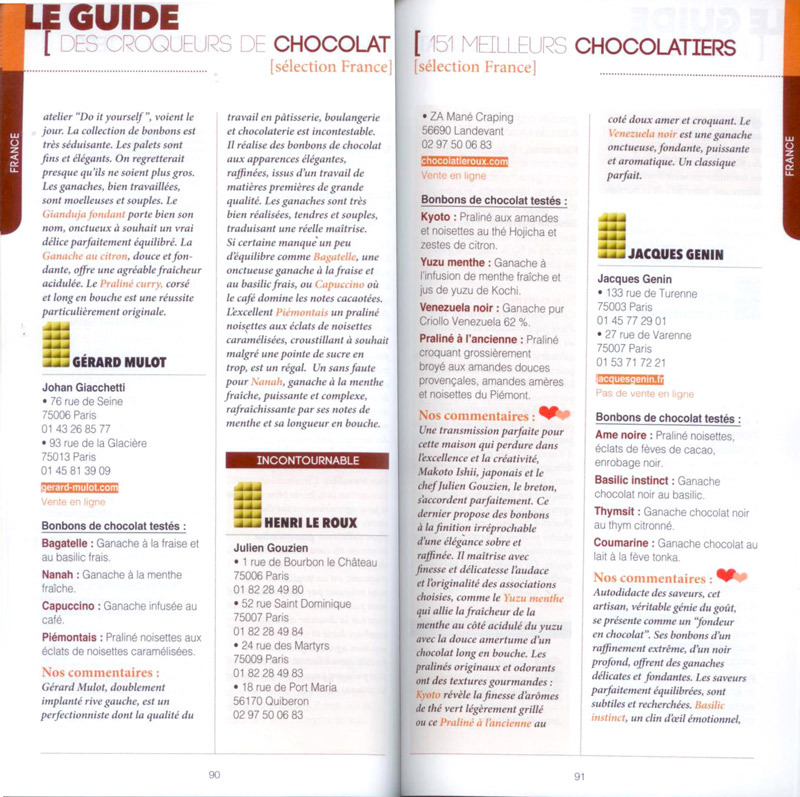 We are very proud to be awarded as "A Must" among the greatest 15 "Incontournable" chocolate makers in France by the "Club des Croqueurs de Chocolat" for the 3rd year! The chocolate bonbons Kyoto and Yuzu menthe of the "Journey to Japan" box got a "Tablette d'Or", the highest award in the Guide. 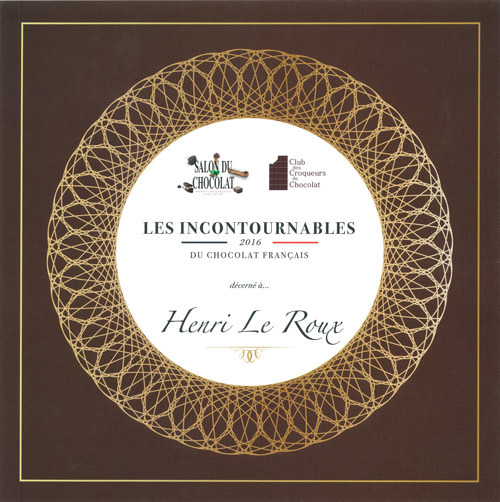 "Les Incontournables" : Maison Le Roux is elected as "Incontournable 2016"
This is highest award is given by the "Club des Croqueurs de Chocolats"
The "Club des Croqueurs de Chocolat" has tested and appreciated the chocolate bonbons Kyoto and Yuzu. The Club is a reference for taste chocolate. 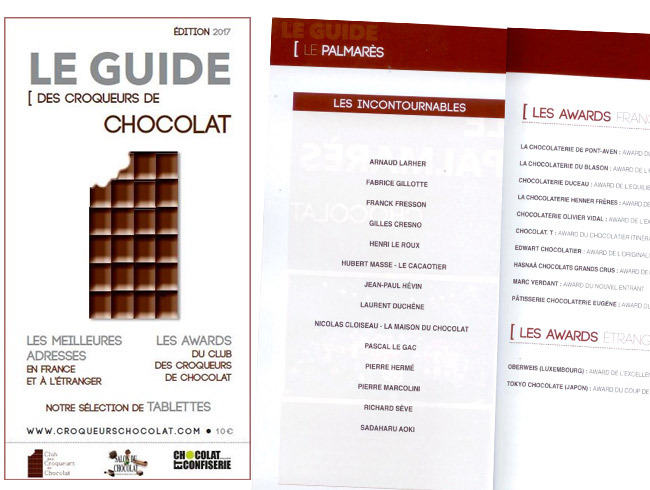 You can find the prize list in the 2017 Guide des Croqueurs de Chocolats !